Ministry of Propaganda - 23/Nov/2006: "Westbury White Horse"
White horse gets own light show: To mark the repainting of the Westbury white horse, two World War II searchlights will light up the carving on Friday, from 1830 GMT. That could look quite interesting, I wonder if it's worth going? Only problem is that Westbury is approx 40 miles from Swindon, meaning about an hours drive (Google Maps directions). That's a bit much just to look at a White Horse. 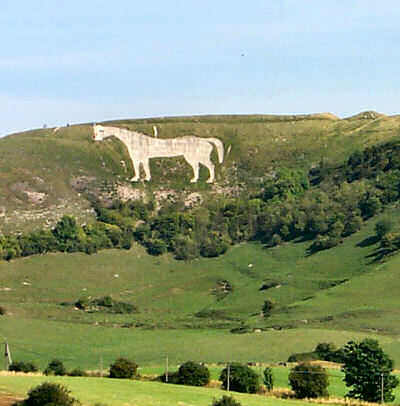 There's no further information on the English Heritage page for the Westbury White Horse, as of writing this it's not even mentioned on the events listing page. I'll have to decide on the day.